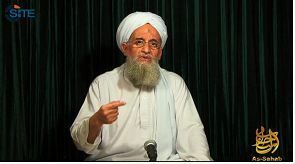 Al Jazeera obtains Ayman al-Zawahiri’s letter addressed to leaders of two jihadi groups to put an end to infighting. Dear brother/ Sheikh Abou Bakr al-Baghdadi al-Huseini and his brothers in the Shura of the Islamic State in Iraq; May Allah protect them. Dear brother/ Sheikh Abou Mohamed al-Joulani and his brothers in the Shura of Jabhat al-Nusra in al-Sham; May Allah protect them. Peace and blessings be upon you and those around you, may Allah join us upon what he likes and chooses of worldly bounties and triumph in the hereafter. 1. The proponents of Jihad were all dismayed by the dispute that occurred on the media between our beloved brothers in the Islamic state of Iraq and Jabhat al-Nusra in al-Sham. 2. We have neither been asked for authorisation or advice, nor have we been notified of what had occurred between both sides. Regrettably, we have heard the news from the media. 3. At the outset, I have to remind all the Mujahidin and all Muslims of the role played by the Islamic State in Iraq in aborting the crusaders’ plot for occupying and splitting the heart of the Islamic world, along with repelling of the elite Rafidhi expansion that aimed at dominating the Levant, Iraq and the Arab Peninsula. We have to admit the good deeds done by our brothers; in particular, their Emir Sheikh Abou- Bakr al-Baghdadi in supporting Jihad in al-Sham by sending in the most capable fighters and money, to alleviate their suffering. We have admired our brothers in Jabhat al-Nusra who were praised, along with their Emir Sheikh Abi Mohamed al-Joulani, by Sheikh Abou Bakr al-Baghdadi. 4. I have to remind all the Mujahidin and all Muslims of the job done by our brothers in Jabhat al-Nusra for the people of the Levant in reviving the obligation of Jihad and their revival of the Umma hopes in liberating al-Aqsa and soon reinstating the Khilafa, by the will of Allah. We also praise them for repelling the Batini and secular Rafidhi aggression against the backlog of Islam in our beloved Levant. We also appreciate their praise to their brothers in the Islamic State in Iraq for the support they had offered. 5. When the dispute emerged between the two Jihadi groups, I sought to resolve the dispute by sending a message on 1st Jumada in 1434 to sheikh Abou Bakr al-Baghdadi and to Abou Mohamed al-Joulani for freezing the dispute at the point preceding its breakout, prior to finally resolving it. a- Sheikh Abou Bakr al-Baghdadi was wrong when he announced the Islamic State in Iraq and the Levant without asking permission or receiving advice from us and even without notifying us. b- Sheikh Abu Mohamed al-Joulani was wrong by announcing his rejection to the Islamic State in Iraq and the Levant, and by showing his links to al-Qaeda without having our permission or advice, even without notifying us. c- The Islamic State in Iraq and the Levant is to be dissolved, while Islamic State in Iraq is to continue its work. d- Jabhat al-Nusra, is an independent entity for Qaedat al-Jihad group, under the (al-Qaeda) general command. e- The seat of the Islamic State in Iraq is in Iraq. f- The seat of Jabhat al-Nusra for the people of al-Sham, is in Syria. g- Sheikh Abou Bakr al-Baghdadi has been approved as the Emir for the Islamic State in Iraq for one year, as of the date of this ruling. The Islamic State in Iraq Shura (council) would then submit a report to the general command for Qaedat al-Jihad group about the progress of work. The general command would then decide whether to extend the mandate for Sheikh Abou Bakr al-Baghdadi as Emir, or appoint a new Emir. h- Sheikh Abou Mohamed al-Joulani has been approved as the Emir for Jabhat al-Nusra for the people of al-Sham for one year as of the date of this ruling after which Jabhat al-Nusra Shura council submits a report to the general command of Qaedat al-Jihad about the progress of work. The general command would then decide extending the mandate for Sheikh Abi Mohamed as Emir, or appointing a new Emir. i- The Islamic State in Iraq would supply, as far as it could, to Jabhat al-Nusra for the people of al-Sham, what they need of fighters, arms, money shelter and security. j- Jabhat al-Nusrah for al-Sham would supply to the Islamic State in Iraq, as far as it could, what it needs of fighters, arms, money, shelter and security. k- The two sides would cease any attack, by words or by deeds, against the other side. m- Muslim blood is a off-limits for other Muslims. Whoever changes sides from one Jihadi group to another, is not an apostate, instead, he enjoys the protection accorded to other Muslims and the Mujahidin, even if he was wrong in changing sides. n- Whoever sheds the blood of his Muslim brothers and the Mujahidin, the group would take a tough stand against him as based on the principle of “defending virtue and preventing vice”. Firstly: Any dispute arising from the interpretation of this ruling would be resolved by him. Secondly: In case any side attacked the other side, I hereby authorize him to set up a Sharia justice court for giving a ruling on the case. p- I hereby obligate all my brothers in Qaedat al-Jihad group, and I call upon all my Muslim brothers and the Mujahidin, to stop arguing over this dispute and to stop sedition among the Mujahidin and to seek harmony and unity, along with winning hearts and uniting ranks among Muslims and the Mujahidin. They should recognise the good deeds of the two Jihadi groups and to mention only their good deeds. c- Sheikh Abou Khalid al-Soury. [The letter from Al-Q chief Ayman Zawahiri to Islamic State of Iraq and Levant (ISIL) leader Abu Bakr al-Baghdadi was an order to disband the ISIL, dividing the Iraqi al-Qaeda from the Syrian Islamist forces of al-Nusra (SEE: Translation of al-Qaeda chief Ayman al-Zawahiri’s letter), with the Iraqi forces ordered to return to their own fight, back home. The so-called al-Qaeda split arises from Baghdadi’s rejection of the order. 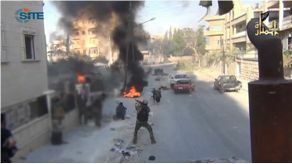 Shortly thereafter, “al-Qaeda” allegedly killed the leader of the Free Syrian Army (FSA), Kamal Hamami. Which “al-Qaeda” killed him, the one loyal to Zawahiri or the one allegedly created by the successor of Abu Musab al-Zarqawi? Remember, that Zawahiri also tried to fire al-Zarqawi, the original leader of Al-Qaeda In Iraq, for exceeding his mandated authority in provoking Sunni-Shia conflict (SEE: English Translation of Ayman al-Zawahiri’s letter to Abu Musab al-Zarqawi). It is all necessary to develop the story-line, while maintaining cover for the US “plausible deniability.” It is very likely that the original leader advertised as Abu Musab al-Zarqawi was not the militant Jordanian leader, in the first place. According to testimony from the legendary dead Chechen commander Ibn Khattab, the real Zarqawi died fighting Russians in Dagestan (SEE: Profile: Ibn-ul-Khattab, Commander of the Foreign Mujahideen in the Caucasus). The controversy between al-Qaeda’s branches in Iraq and Syria took an unexpected turn on the night of June 14, 2013, when an audio message surfaced from Abu Bakr al-Baghdadi, the head of al-Qaeda’s branch in Iraq, the Islamic State of Iraq (ISI), defying Ayman al-Zawahiri’s command that the group he created, the “Islamic State in Iraq and the Levant” (ISIL), be cancelled. 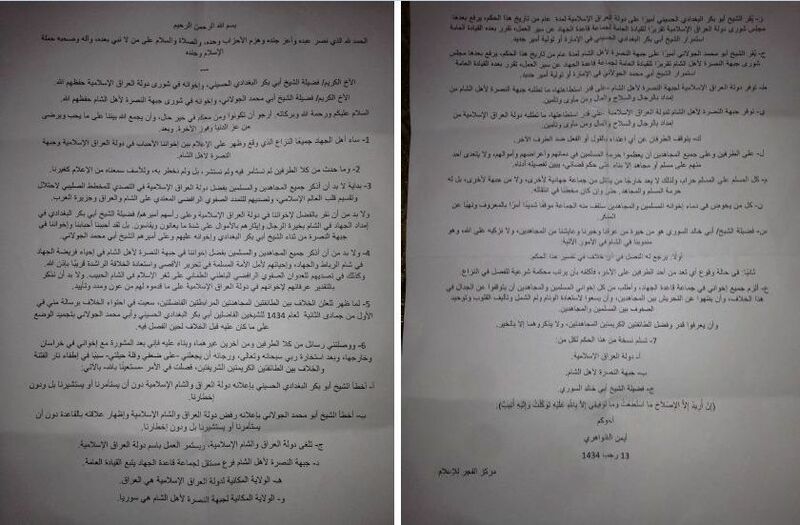 One week prior, on June 9, al-Jazeera had published a letter discovered in Syria from Zawahiri to Baghdadi and al-Nusra Front leader Abu Muhammad al-Julani resolving the issue and keeping both groups as separate entities. Then, on the morning of June 14, the Front’s al-Manara al-Baydha’ Media Foundation resumed its activity after being silent since the conflict began in April 2013. One week prior, on June 9, al-Jazeera had published a letter discovered in Syria from Zawahiri to Baghdadi and al-Nusra Front leader Abu Muhammad al-Julani resolving the issue and keeping both groups as separate entities. Then, on the morning of June 14, the Front’s al-Manara al-Baydha’ Media Foundation resumed its activity after being silent since the conflict began in April 2013. Jihadists’ hopes for the settling of the conflict vanished and they became confused, with many doubting the authenticity of Baghdadi’s message, as al-Fajr Media Center, the official online distributor of propaganda for the ISI and other al-Qaeda-affiliates, did not release it. Also, administrators of the top-tier jihadi forums al-Fida’ and Shumukh al-Islam deleted any post giving a link to download the audio or merely discussing its content. However, in the days after the release, with the administrators being unable to suppress the high-volume of posts about the subject, the consensus was that the audio is indeed real. The authenticity of the audios was ultimately confirmed by administrators of the Shumukh al-Islam forum in a statement posted five days later, on June 19, thus bringing to the forefront issues about al-Qaeda and leadership, jihad in Iraq versus Syria, and the current track of the global jihadi movement. What exists in Iraq and Syria between leaders of the ISIL and the al-Nusra Front is a power struggle, with one side demanding control over al-Qaeda’s affairs in the two countries and keeping all the resources, and the other desiring independence from the Iraqi side and to report directly to al-Qaeda and Zawahiri. In the middle are jihadists who await Zawahiri not only to address the issue again, but to address them and speak to their concerns about the future of jihad in Iraq and Syria. Baghdadi, taking command of both the ISI and the al-Nusra Front, declared that the names of both groups are cancelled and replaced with one title, the “Islamic State in Iraq and the Levant”. This name, he argued, follows the path of unity that al-Qaeda in Iraq went upon when it became the Mujahideen Shura Council (MSC) and then the Islamic State of Iraq (ISI), as other groups pledged to it and fell under its banner. The issue of Julani rejecting the ISIL and asserting independence in managing the al-Nusra Front, and Baghdadi wishing to maintain control, exploded on jihadi forums and social networking websites. Jihadists found flaws in both men’s arguments and questioned the timing of Baghdadi’s revelation, and some, including prominent jihadists Abdullah bin Muhammad and Asad al-Jihad 2, believed that the ISI might have been infiltrated by enemy intelligence with the intention of destroying it from within. At the same time, releases from the ISI’s al-Furqan and the al-Nusra Front’s al-Manara a-Baydha’ ceased, with no communiqué, audio or video posted since April 10. Instead, videos appeared on YouTube from the ISIL showing military operations and public executions in Syria. These videos did not come from an official source, like al-Fajr or the Global Islamic Media Front (GIMF), nor were they produced by the media arm of either the ISI or the al-Nusra Front, leading jihadists to speculate about this “Islamic State in Iraq and the Levant” being the same announced by Baghdadi. “Abu Bakr al-Baghdadi al-Husseini is acknowledged as the Emir of the Islamic State of Iraq for one year from the date of this edict, after which the Shura Council of the Islamic State of Iraq sends a report to the General Command of al-Qaeda regarding the work, after which the general leadership decides on the continuation of Abu Bakr al-Baghdadi al-Husseini in the leadership or the taking over by a new emir. Further, Zawahiri tasked an individual named Abu Khalid al-Suri with arbitrating any disagreement with his order, and named him as al-Qaeda’s representative in Syria. Abu Khalid is believed to be Muhammad Bahayah, who was a close associate of al-Qaeda strategist Abu Musab al-Suri AKA Mustafa Setmariam Nasser and a member of Usama bin Laden’s network in Europe. Jihadists expressed their joy with the news of the letter and Zawahiri’s intervention, and one confirmed that the dispute had been resolved and the al-Nusra Front’s al-Manara al-Baydha’ Media Foundation would resume issuing communiqués during the week of June 10. Indeed, on June 14, al-Manara al-Baydha’ posted four communiqués reporting on some of the group’s military operations in the Syrian capital, Damascus, and Deir al-Zour province during March and April, 2013, and even joined the top-tier al-Fida’ forum. However, no release came from the ISI, and the al-Nusra Front did not comment on the letter or the dispute. An audio message attributed to Abu Bakr al-Baghdadi surfaced on Twitter on the night of June 14, titled, “Remaining in Iraq and the Levant,” in which the ISI leader defied Zawahiri’s command and refused to back down from adopting the name “Islamic State in Iraq and the Levant”. The voices of the al-Furqan representative and Baghdadi sound similar to those in prior releases, but the means of distribution, via sources other than al-Fajr Center and top-tier jihadi forums, led jihadists to doubt its authenticity. His message, however, is identical to that expounded upon in his speech from April 2013, that the “Islamic State in Iraq and the Levant” is the next step in the growth of al-Qaeda in Iraq. Regarding the Zawahiri letter directly, Baghdadi found it has “several Shariah and method-based issues” and after consulting his Shura Council and Shariah Committee, he decided against following Zawahiri’s order to cancel the “Islamic State in Iraq and the Levant” and keep the ISI and al-Nusra Front as separate organizations in Iraq and Syria, respectively. Shortly after the release of the Baghdadi message, an audio message appeared from ISI spokesman Abu Muhammad al-‘Adnani on social networking websites. 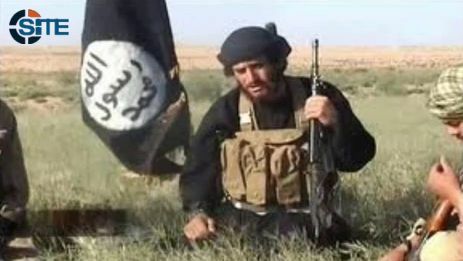 ‘Adnani did not address the dispute between the groups and Zawahiri, or mention Baghdadi, or the ISIL; rather, he called for Sunnis in Iraq to take up arms and declare war on Shi’ites, claiming that fighting is the only way to protect their rights and their properties. Both groups have demanded that the administrators delete from the forum all messages related to the other, and there is currently a power struggle, with each attacking the other’s supporters. The administrators also warned jihadists not to take sides in the issue, as their membership will be immediately suspended without notice. “Whoever loves al-Baghdadi and his soldiers more, then that shouldn’t decrease his love for al-Julani and his soldiers; and whoever loves al-Julani and his soldiers more, then that shouldn’t decrease his love for al-Baghdadi and his soldiers. Further, prominent jihadist Asad al-Jihad 2 opined on the issue and Abu Muhammad al-‘Adnani’s speech from June 19 specifically in posts on his Twitter account later that day. He criticized ‘Adnani’s harsh tone towards Zawahiri and pointed out flaws in his argument about man-made borders, and unity and division, and other items in his “wave full of lies and falsehood”. Asad al-Jihad 2 then went on to engage with fellow Twitter users about problems with ‘Adnani’s message and that from Abu Bakr al-Baghdadi, holding both accountable for the problems. The power struggle and subsequent splintering of the ISIL and al-Nusra Front has captivated jihadists as they seek answers about who to support in the dispute, either one side over the other or both equally. It also begs questions about the ISIL operating both in Iraq and Syria as a group competing with the al-Nusra Front or fighting it as it fought nationalist factions in Iraq (e.g. 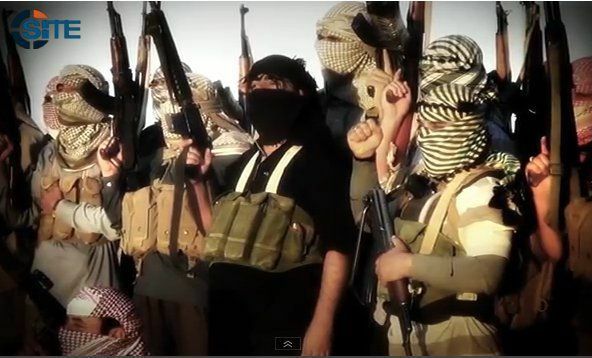 Islamic Army in Iraq) and fellow jihadist groups such as Ansar al-Islam. The group still enjoys admiration and respect from jihadists due to the legacy of Abu Musab al-Zarqawi in founding its predecessor, Tawhid and Jihad Group, and then al-Qaeda in Iraq, but there is erosion in support, especially among prominent jihadists and others who see Abu Bakr al-Baghdadi as causing discord. Baghdadi and ‘Adnani argue that the al-Nusra Front desires independence and to operate away from the ISIL’s influence and control. ‘Adnani specifically called the al-Nusra Front, “rebellious defectors,” and claimed it set the fire of sedition that the ISIL sought to extinguish by revealing their relationship and uniting them under one name. However, while the ISIL is criticizing the al-Nusra Front for desiring power and total control over its affairs, the ISIL and its predecessor, the ISI, has shown itself to be power hungry, trying to crush any and all competition for hearts, minds, men and money in Iraq. In fact, Ansar al-Islam had recently revealed that the ISIL views its group as something of a rival gang due to its fighting its men and threatening that they either join its ranks or be killed. While the ISIL would view forcing acceptance on fighters as a way to unite for a greater purpose, the al-Nusra Front and Zawahiri saw otherwise, and the latter rebuked the group. Julani and the al-Nusra Front have not released a statement responding to the audio messages from Baghdadi and ‘Adnani, nor did they outline their reasons for rejecting the ISIL. Instead, other jihadi groups in Syria such as the Ahrar al-Sham Islamic Movement spoke on the issue, criticizing Baghdadi and the ISIL for unilaterally declaring an “Islamic State” in Syria and potentially bringing new sides to the Syrian conflict by acknowledging the al-Nusra Front’s link to it and al-Qaeda. Jihadists have various perspectives on the issue, with some supporting the ISIL, some supporting the al-Nusra Front, and others supporting both groups equally, for they each represent al-Qaeda and jihad against the enemy. However, those supporting the ISIL seem to be more vocal, as the group is forthcoming to the public about the problems. In the absence of the ISIL’s audio messages on top-tier forums al-Fida’ and Shumukh al-Islam, and the Ansar al-Mujahideen Arabic forum, the website of the al-Minbar Jihadi Media Network has filled the void by not only providing the messages, but putting a spotlight on them with colorful, animated banners, and Arabic transcripts for easy viewing. Also, some jihadists have spread the messages on their Twitter and YouTube accounts. Meanwhile, the al-Nusra Front has only released communiqués claiming military operations for March and April, 2013, and has not yet spoken publicly on the issue. Also, the Zawahiri letter has not appeared officially on the forums, nor has an update about the latest turn in the conflict, leading jihadists to speculate more about what is happening behind the scenes with the groups and their respective leaderships, and potentially change their allegiance for whom to support. This conflict between al-Qaeda’s branches in Iraq and Syria and al-Qaeda leadership is the first of its kind and might lead to a new structure, with the possibility that the group in Iraq, the ISIL, will break from the organization and go on a separate path. Indeed, Baghdadi and ‘Adnani have each shown insubordination and rejected Zawahiri’s command to void the ISIL, and fighters active in Syria have used the ISIL banner since Baghdadi’s announcement in April 2013, and continue to do so, unhindered by the order from al-Qaeda’s leader. Residents of region report seeing fighter jets near time of blasts; several Assad troops killed in explosions, according to reports.